NOTICE: As of January 2018, Revision Optics, the manufacturer of the Raindrop® Near Vision Inlay, is no longer in business and will not be distributing the inlay. Avant LASIK Spa encourages you to review our Kamra Near Vision Inlay procedure, an alternative solution that is more stable, reliable, and significantly longer lasting than the Raindrop Inlay. Avant LASIK Spa is now able to restore near vision with the KAMRA Inlay. This revolutionary procedure helps patients with near vision issues after age 40 to enjoy life without the use of readers. Patients who struggle with reading their text messages, seeing the dashboard of the car clearly, or just being able to read their favorite books now can bring life back into focus. No one escapes the loss of near vision. As we reach mid-life many changes occur in our bodies and that includes our ability to focus. Just as our muscles don’t have the strength and flexibility they once had in our twenties, the clear natural lens in our eyes loses its ability to effortlessly change focus from far to near, and back again. This is known as Presbyopia. Middle age brings with it many compromises, and up until recently the only way to resolve near vision issues was by using reading glasses, bifocals, progressive lenses, or contact lenses. Even patients who had LASIK earlier in life and who enjoy great distance vision will eventually lose near vision and experience Presbyopia once they reach their 40s and 50s. 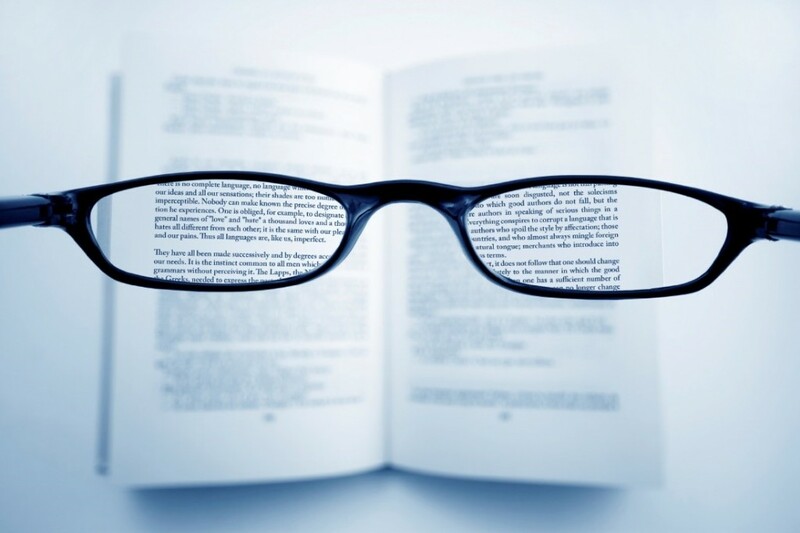 Avant LASIK Spa believes that in the 21st century all patients should have another option to reading glasses. Now you too can enjoy the life-changing vision solution of the KAMRA Inlay. Tired of having multiple glasses for various tasks? You no longer have to accept the frustrating and inconvenient dilemma of one pair for driving, another for reading and never seeming to have the right pair handy. Learn more about the KAMRA Inlay at Avant LASIK Spa and read how Dr. Sheth was the first in the state to perform the procedure! Schedule a complimentary evaluation at Avant LASIK Spa and discover how the KAMRA Inlay could be the vision solution for your near vision issues. Dr. Sheth and the professional team at Avant LASIK Spa continue to bring patients only the latest and safest technology. They believe everyone should have clear vision no matter their age, and the frustrating effects of presbyopia should be a thing of the past. It all begins with a brief 20 minute in office procedure. This safe surgical procedure will correct presbyopia and help restore your near vision. 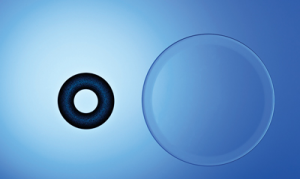 A miniscule ring smaller and thinner than a contact lens will be inserted under the surface of the cornea and over the pupil. It repositions the focal point of vision to direct it through the narrow opening, and trains light precisely on the retina for clear near and intermediate vision. This procedure requires no stitches. You will be treated with prescription drops after the procedure to aid in healing, and will return for multiple follow up appointments. Good vision will be restored in just a few days. Your distance vision will not be changed in any way. Your peripheral vision will not be altered. Depth perception is not compromised like with mono-vision or other treatments for presbyopia. If you are not completely satisfied with your visual outcome, the KAMRA Inlay can be removed. This is the only treatment for near vision that can be reversed. The KAMRA Inlay is stable and lasting. No need for re-treats or enhancements. Imagine being able to read text messages, never again needing to put on your reading glasses in a business meeting, and just enjoying life in focus! If you are not ready to accept this annoying effect of aging, learn more about this life changing vision solution. It’s time to bring life back into focus!